Bringing together art and science, this exhibit features original botanical illustrations in watercolor, graphite, and colored pencil. Representing a wide range of flora, these works not only capture scientific details of plant life, but also highlight their intrinsic beauty and wonder. The realism and attention to detail will invite you to take a closer look. Toberer grew up in Omaha, receiving a BFA in Printmaking from U.N.O. Her botanical work was recognized in 2009, when her Bur Oak illustration won the Nebraska Arboretum print competition. 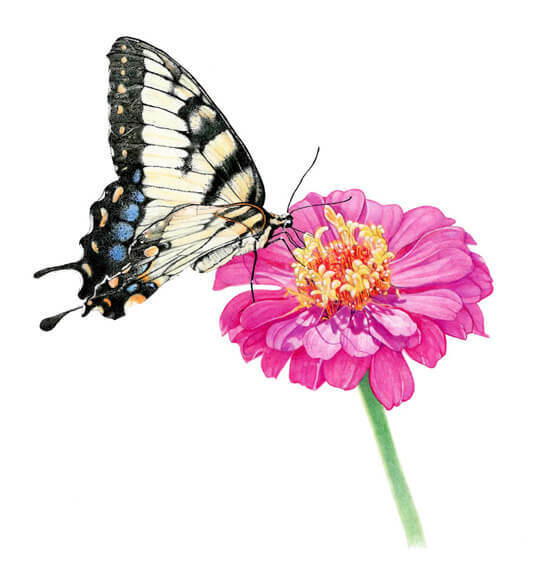 She is a member of both the American Society of Botanical Artists, and the Great Plains Guild of Natural Science Illustrators. She is currently working on illustrations for a botany publication.